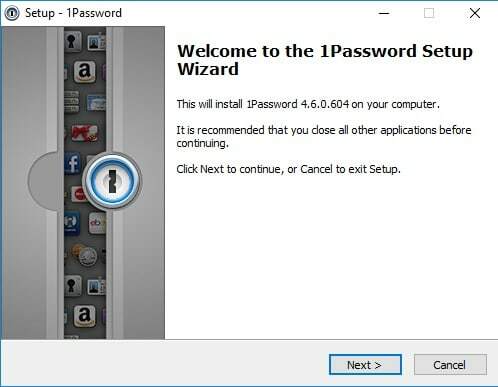 If you’ve read our recent review of 1Password you’ll know it is a very good password manager… if you fall into its target audience. But how easy is it to install and get up and running? The first thing to note here is that 1Password is available for both Windows and OS X though, with the latter, you’ll need to be either running Yosemite or El Capitan or else you’ll need to use a legacy version of the program. Other than the regular differences between operating systems, installation is pretty much the same on both platforms and so, in this guide, I’ve elected to go with the PC version, running on Windows 10. The only drawback I noticed with this particular version of Microsoft’s operating system is the fact that there doesn’t appear to be a plugin to integrate 1Password into the Edge browser. Ho hum, I use Chrome anyway. So where do you start with installation? Once you have the program files downloaded onto your system, you need to find the installer and double-click on it to initiate the wizard. Next up, choose where to install the program on your hard drive. 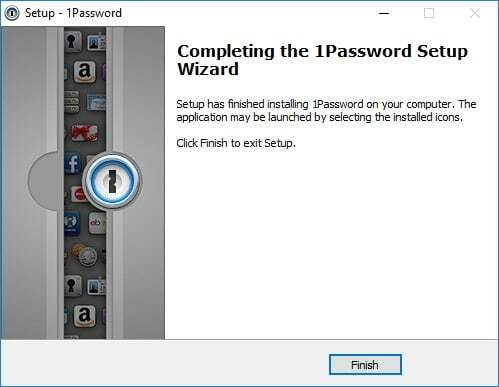 And then, after a short period of time, you’ll be prompted to finish the wizard off and start your new password manager for the first time. 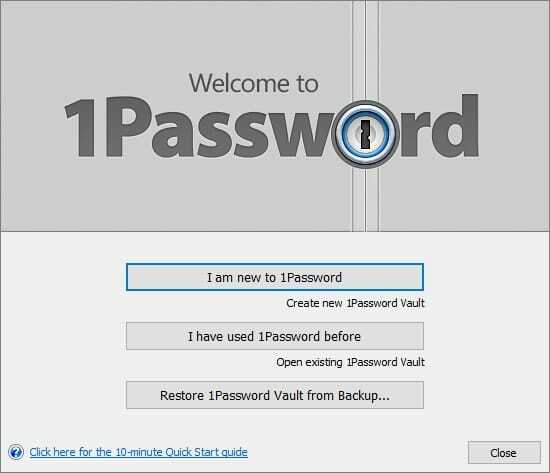 At this point, the program will ask you whether or not you’ve ever used 1Password before so it can determine whether to import an existing vault (essentially your list of previously saved passwords). 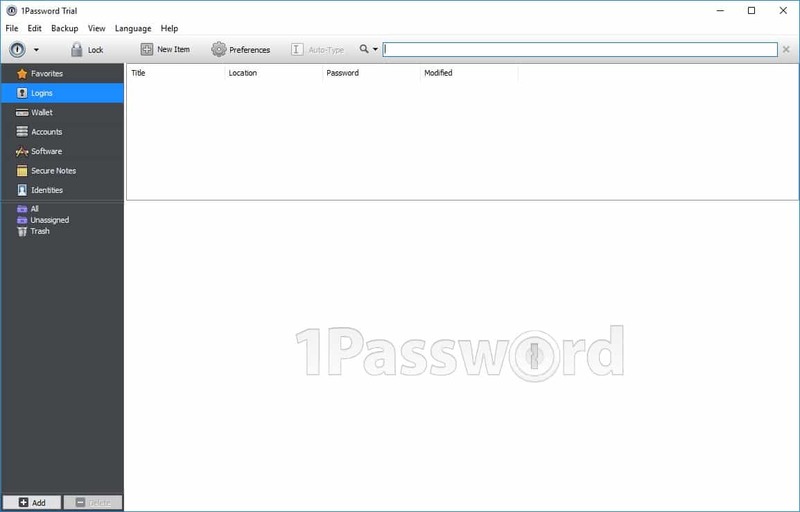 Assuming this is your first experience with AgileBits’ password manager, you’ll want to click on the button that says, “I am new to 1Password”. From this screen you’ll also have the option of opening up a handy quick start guide. Now, you’re good to go, and all that’s left in the setup procedure is the all-important master password. As this is the only login credential you’ll need to remember from here on in, make sure you pick something strong that cannot easily be guessed and isn’t a word you could find in a dictionary. Now you’re into the program proper where you’ll be greeted with the main interface which is nice and clean and clutter-free. Flowing down the left hand side of the interface you’ll see a few options presented to you, including a link to all your login details, your personal wallet and an option to store secure notes. You’ll also note some options near the top of the screen too, including the most important one – Preferences. 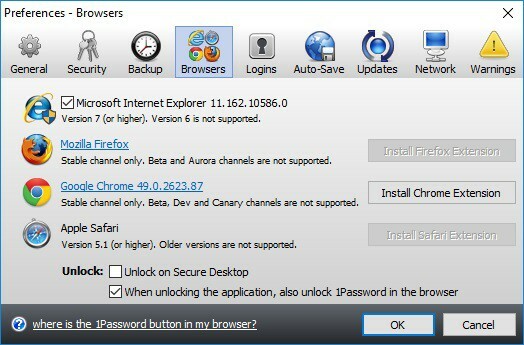 Click on this and you’ll be able to configure the real meat of this password manager, with options that allow you to auto-submit logins, show any password hints you may have, lock the program after a period of activity (always advisable if anyone else in your home may have access to the machine), select which of the major browsers to integrate with, and much else besides. One of the best things about 1Password is how easy it is to use. 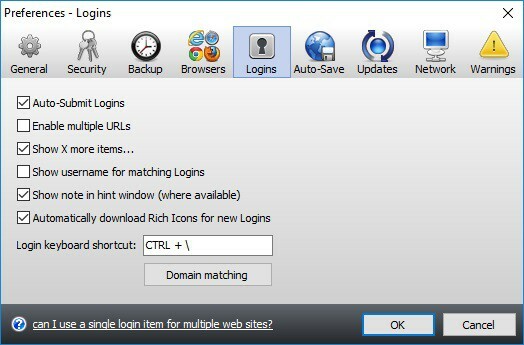 The desktop client allows for easy management of all your passwords, each of which can be self-sorted into a number of user-defined folders should you so desire. Additionally, your personal wallet also allows you to store other information, not related to your passwords,and secure notes does exactly what it says on the tin. The identities function is used for storing personal information which is then entered on your behalf as and where required. The program will also tell you how good those passwords are too – which isn’t as accurate a function as I would have liked to see – but certainly is useful in terms of pointing out those login credentials that definitely should be changed straight away, either because they are weak, duplicates of other passwords you have used, or susceptible to the Heartbleed bug that stole the headlines a couple of years ago. Another cool feature within 1Password is the ability to file away notes and file attachments with all of your password entries. I’m not entirely sure how I’m going to use that myself yet, but can see how others may. In terms of browser integration, all the top names are present with the exception of Edge, though I suspect that will be included soon enough. If your browser of choice is not mainstream enough, you’re simply out of luck though – other password managers may be more appropriate for your needs. Furthermore, one minor foible with 1Password is the fact that it does not automatically log you into websites you’ve previously registered with when you subsequently revisit them. AgileBits say this is a security measure – and that is a fair point – but I imagine most people would prefer the convenience of the flip side of that coin. On new websites you register on, it works much like any other password manager, popping up to capture your input and offering to save it. More useful than that, it will of course also offer to generate completely secure passwords on your behalf. It utilises Diceware which produces a random output that is also likely to be at least partly memorable. 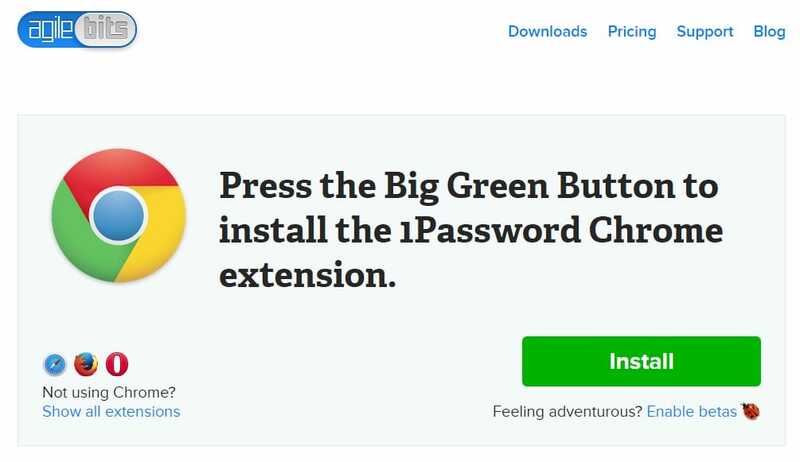 Good idea in theory, and certainly nothing bad in execution, but with a password manager you only have to remember your master password anyway. So, overall, 1Password is a great password manager which works well and is suited to the less technically-minded user. For those of you who have more advanced needs, there are probably better options, especially when you take this programs idiosyncrasies into account.